The large victory of the populist 5 Star Movement and rightwing nationalist Lega in the March 4 Italian elections is a watershed event in Italian politics, highlighting the extent of the social discontent presents today in this country. It paves the way for a government that is so difficult to form as capable of triggering unforeseeable consequences in Europe. The anti-establishment 5 Star Movement has emerged as the largest party in Italian parliament and the center-right coalition won around 37 per cent of the vote with the big surprise of the rise of the League which beat Silvio Berlusconi’s Forza Italia. But the center-right coalition failed to win an outright majority of seats. So, Italy is facing a hung parliament, that would likely lead to weeks or months of horse trading to form a new government. 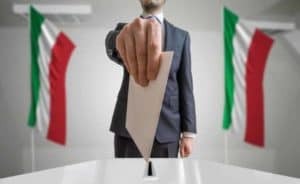 No doubt that the ruling centre-left Democratic party (PD), which has governed Italy under three different prime ministers in five years, is the big loser of this election. It suffered a dramatic defeat falling to 19 per cent, an historical low record that has pushed to Matteo Renzi’s resignation. The causes are many and date back in time but can be summarized in these two: economy and immigration. No doubt that the ruling centre-left Democratic party (PD), which has governed Italy under three different prime ministers in five years, is the big loser of this election. A widespread discontent with the pace and content of Italy’s recovery — which accelerated last year to 1.5 per cent but remains much below the eurozone average — is a key reason for the falling popularity of the Democratic party. The current expansionary phase although positive is still rather ‘exclusive’ since it is benefitting only a small share of Italian citizens. Unemployment remains well above its pre-crisis rate; about a third of young Italians are jobless despite many young Italians fleeing for jobs elsewhere in Europe; household purchasing power has still not filled the hole created by the financial crisis; and poverty — which is most prevalent in southern regions – has been flat in recent years. In addition, the burden that Italy has borne at the forefront of recent immigration crises has compounded popular rage and favored the success of populists. The electoral campaign has been dominated by the issue of immigration from outside Europe and no doubt, Italians are frustrated with Europe’s failure to share the burden of the migration crisis. In many aspects Italy is certainly not a peculiar case. Crumbling support for the center-left is a long-term trend in much of Europe. In a series of European elections in 2017, long-powerful center-left parties collapsed in countries such as France, the Netherlands and the Czech Republic, while populists advanced everywhere. Since 2011 Italy embarked on a round of economic reforms which could now be stalled or overturned, including an increase in the age of pension and a labor market reform launched three years ago. In such an environment of widespread popular discontent, opposition populistic parties have found it easy to persuade voters that this is the time for a change — and even radical change. They have no valid solutions to offer. On the contrary, most of their recipes would entail dramatic costs for the Italian economy. As to the fiscal realm Mr. Berlusconi and Liga want to introduce a costly flat tax and increase pensions while Five Star is promoting a guaranteed minimum income for all the poorest Italians, a proposal very popular in Southern Italy. Each of these measures, if implemented, would substantially increase Italy’s budget deficit, leading to unavoidable clashes with Brussels and a sell-off in debt. The other economic issue is related to reforms. 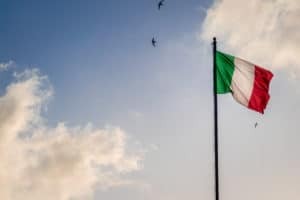 Since 2011 Italy embarked on a round of economic reforms which could now be stalled or overturned, including an increase in the age of pension and a labor market reform launched three years ago. 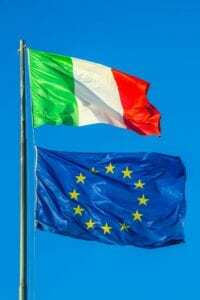 Both policies were unpopular with voters and have been harshly criticized by both Five Star Movement and the party League as misguided efforts that were substantially imposed by Brussels. It is almost obvious that the rise of populist movements and their economic-political strategies are worrying and will pose serious problems to Brussels. Italy is one of the founding members of the Eu, but Euroscepticism has been spreading in the wake of the economic stagnation and the migrant crisis. For the future the Centre-right coalition and the 5 Star Movement are proposing a platform of “less Europe”. Even Matteo Salvini the leader of the Northern League names the common currency as an “error” that needs to be corrected. Whoever leads the new government will have to wrestle not just with issues such as low labor productivity, public sector inefficiency and growing education gap with the other industrialized countries, but also with Italy’s complicated relationship with the euro. The concrete risk is that with a few wrong steps Italy would quickly become the weak link in Europe, with systemic consequences given the dimension of the Italy’s public debt and its weight in the eurozone. This may have serious consequences for the future of the EU just as it is trying to launch an integration push towards closer eurozone and EU integration. Subscribe to the newsletter to get the latest news, analysis and information from the Progressive Post.